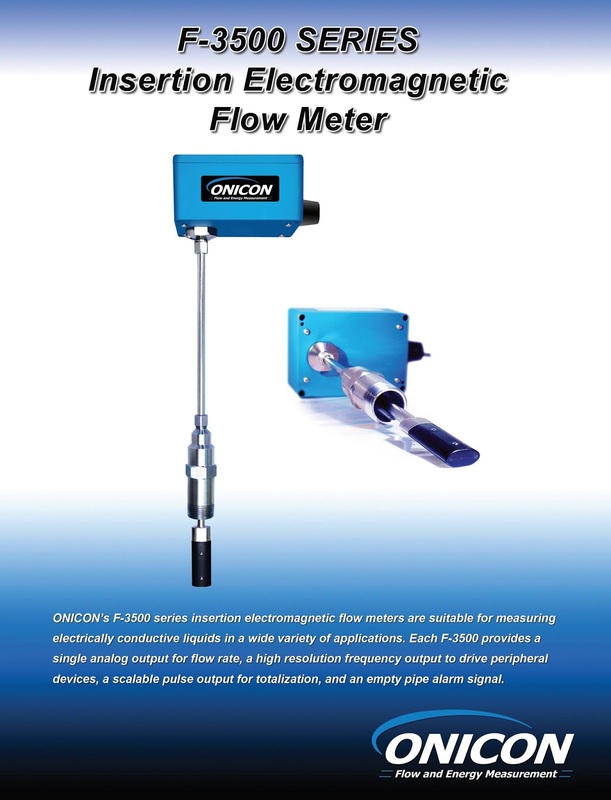 ONICON Incorporated’s F-3500 series insertion electromagnetic flow meters are suitable for measuring electrically conductive liquids in a wide variety of applications. Each F-3500 provides a single analog output for flow rate, a high resolution frequency output to drive peripheral devices, a scalable pulse output for totalization, and an empty pipe alarm signal. Two versions of the F-3500 are now available. The standard configuration F-3500 is suitable for pipe sizes ranging from 3” to 72” in diameter. The small pipe configuration F-3500 is suitable for pipes ranging in size from 1¼” to 2½” in diameter. 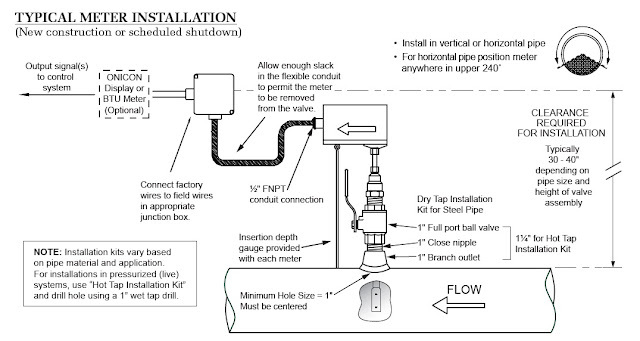 Optional remote displays and BTU measurement systems are also available for both versions. Every ONICON flow meter is wet calibrated in a flow laboratory against standards that are directly traceable to NIST*. A certificate of calibration accompanies every meter. Factory programmed and ready for use upon delivery. Cost-effective insertion style design provides accuracy and reliability normally only found in more expensive full bore devices. Low maintenance, no-moving-parts flow sensing technology works well in difficult flow measurement applications such as open loop condenser water flow. sensitivity, particularly at low flow rates. 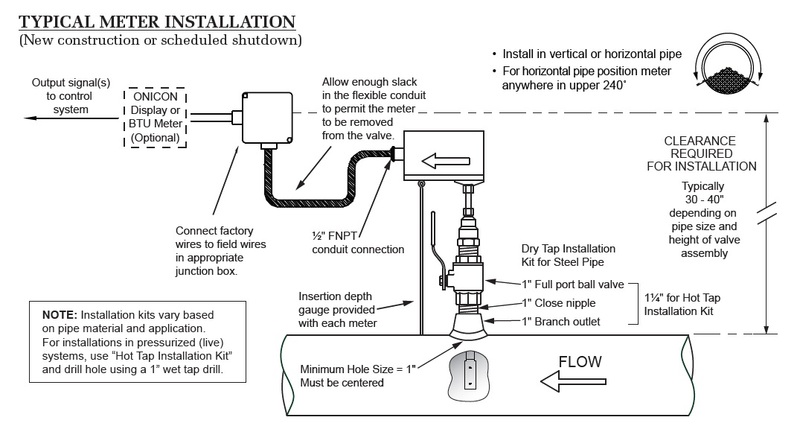 The innovative hot tap adapter design allows for wet tapping pipes without interrupting flow.